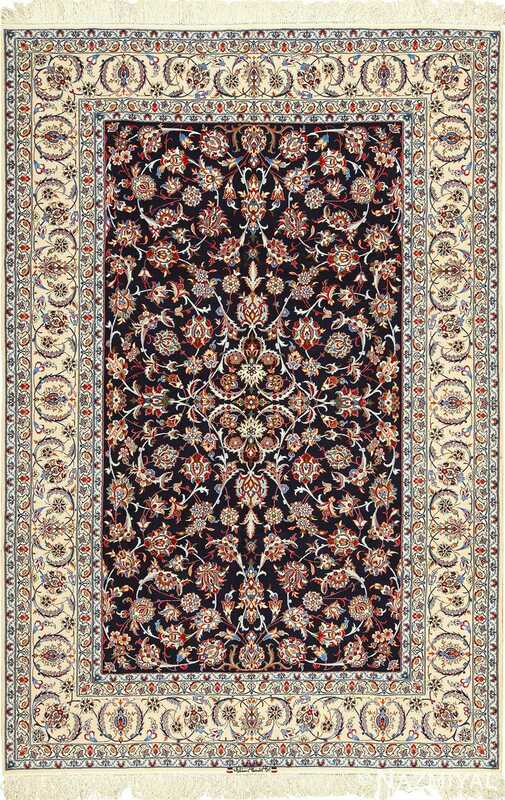 Intricate Ivory Vintage Isfahan Persian Rug 51155, Knots Per Square Inch KPSI: 500, Country of Origin / Rug type: Vintage Persian Rug, Circa Date: Late 20th Century – An ornate series of lines and forms define the foreground of this vintage Persian rug. 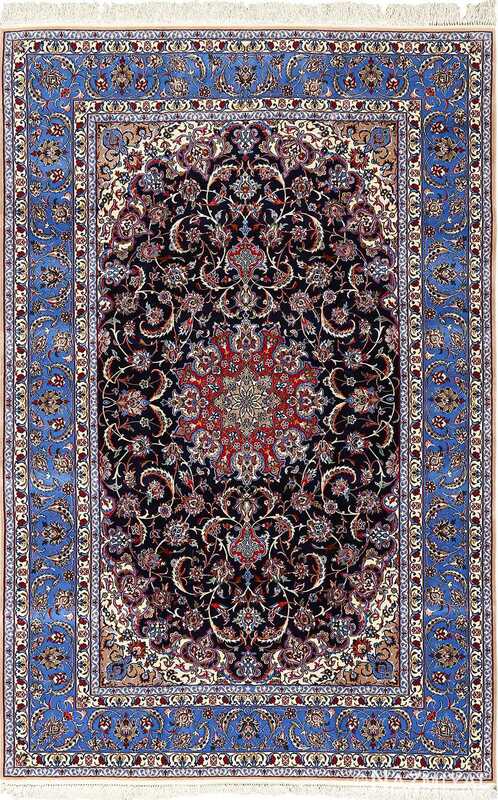 Like the style of many classical vintage Persian Isfahan rugs, this work conveys a clear sense of detail that encourages the viewer to look more closely at the elements within. 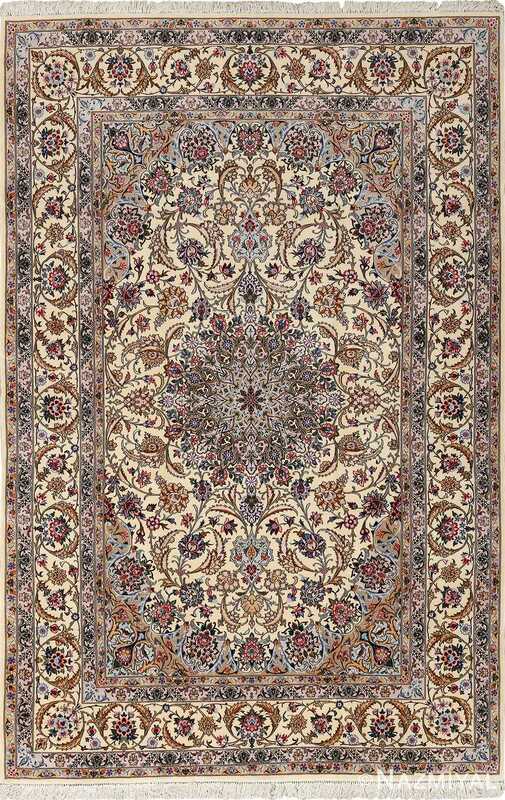 Countless small details dominate the vintage rug’s landscape, drawing the viewer’s attention to the graceful curls present throughout, designed to lead the focal points as well as establish quick landmarks for the viewer to return to on their journey. 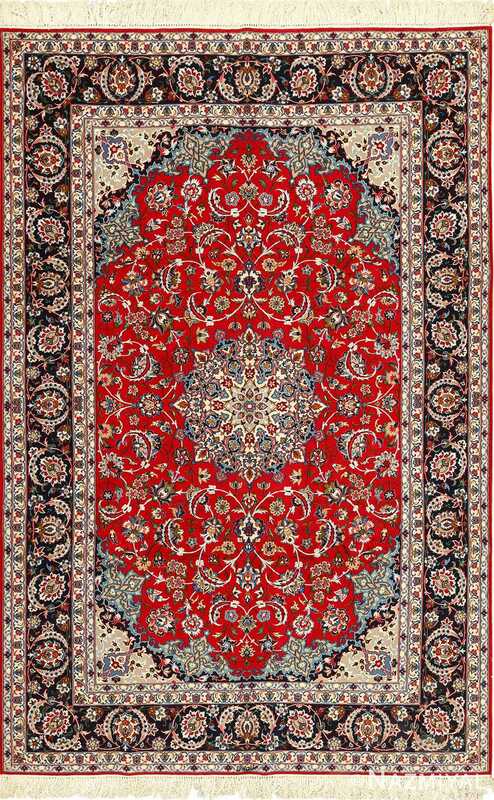 Many of the colors and motifs in this beautiful Oriental rug are presented in a tremendously unified way, and the clear use of outlining between the borders and center field helps draw attention to the elements presented within.